Martha A. Tompkins, 87, of West Haven, entered eternal rest on January 8, 2019. Ms. Tompkins was born in Cairo, GA on March 2, 1931, a daughter of the late Willie James and Hattie Houston James. She was employed for numerous years at the former Jewish Home for the Aged as a Certified Nurse’s Assistant. 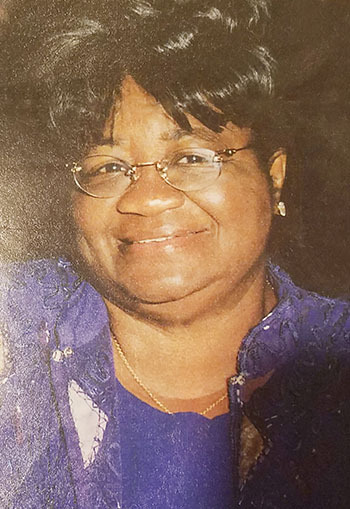 She leaves to cherish loving memories, a daughter, Patricia A. McDonald (Alton); brother, Willie D. James, Jr.; a sister, Joann Goldwire; grandchildren, Victor Kinsler, Bridgett Sasser (Michael), Tonya Daniel, Detria Pritchett, Earnest Pritchett, Jr. (Gracienne), Towanna Mark (Leon), Adrienne Christian and Aaron Christian; a god-daughter, Dina Lark; 16 great grandchildren; 13 great-great grandchildren; and a host of other relatives and friends. She was preceded in death by a daughter, Virginia Pritchett; son, Bobby Christian; grandchildren, Santrace Bethea and Avery Christian; and 4 siblings. A celebration of Ms. Tompkins life and legacy will be held Wednesday, January 16, 2019, at 11:00 a.m. at Straightway Church, 37 Market St., New Haven. Viewing will be held at the church from 10:00-11:00 a.m. Burial will be in Evergreen Cemetery. To the Family, May you find comfort in prayer and in the loving words of Isaiah 25:8 where God promises that death and suffering will be soon done away with.